Connect to learn. With a teacher. Or with friends. On Meemli, you and your friends can help each other study in your own personal, fun, online learning space. You can also sign up for online courses or individualized sessions with active teacher guidance that will give you the learning experience you want wherever, whenever you want. Need some extra help to succeed at school? Meemli offers individualized teacher guidance and courses to build skills for middle and high schoolers, with different options to suit your needs. It is all online, so you have flexibility and convenience! 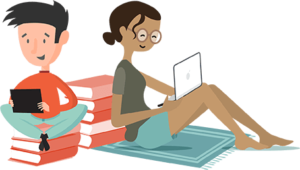 Meemli also offers a FREE online shared learning space which may be useful to work with your study group or to get help remotely from a family member or tutor. Add friends on Meemli and invite them to share and work with you on your personal space. You can comfortably add classmates, family, even teachers and tutors you know to your personal friends list. On your personal space your friends and your work will stay private as you choose what to share and with whom. Looking for an online course where you can get personal attention? Meemli Academy offers online courses varying from strictly self-study to or teacher-led small group sessions. The courses are on topics that you care about and best of all, they are on Meemli so you take the course from anywhere and still have a great learning experience.